As Chief Information Officer, Kieran is responsible for maintaining, enhancing and developing EDM’s Core Solution offering, enabling and supporting our customers through their Digital journey. Kieran works closely with the Chief Technology Officer to ensure underlying business solutions are continuously evolving and supporting the path to Paperfreedm. 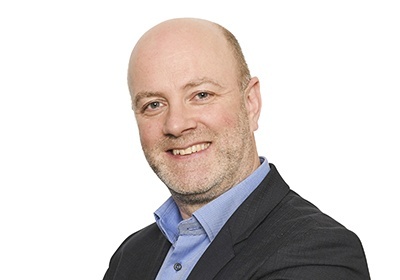 Kieran has over 20 years’ experience in Digital services, leading all aspects of service enablement from operational control/visibility, procedure/process automation, security, architecture, infrastructure, development, on-boarding, through to customer support. Prior to joining EDM, Kieran lead an international team responsible for Xerox’s DMS strategy, delivering a bespoke in-house end to end Digital platform addressing people, process and technology. More recently he evolved Iron Mountain’s Digital delivery structures to provide a standardised solution platform and associated engagement structure across Western and Central Europe. Kieran holds a degree in Economics and Computer Science from the University College Cork in Ireland.